Over the years Killara Kids has created a strong relationship with Koori Kinnections who provides Aboriginal & Indigenous Australian educational programs. We have teamed with Koori Kinnections this year to provide a workshop to the children once a term. We believe with this community partnership we will create a culture of inclusiveness, awareness and mutual respect at Killara Kids. We had our first incursion in Term 1 where children had the opportunity to gather leaves (Lamandra) around the school and learn different weaving techniques. 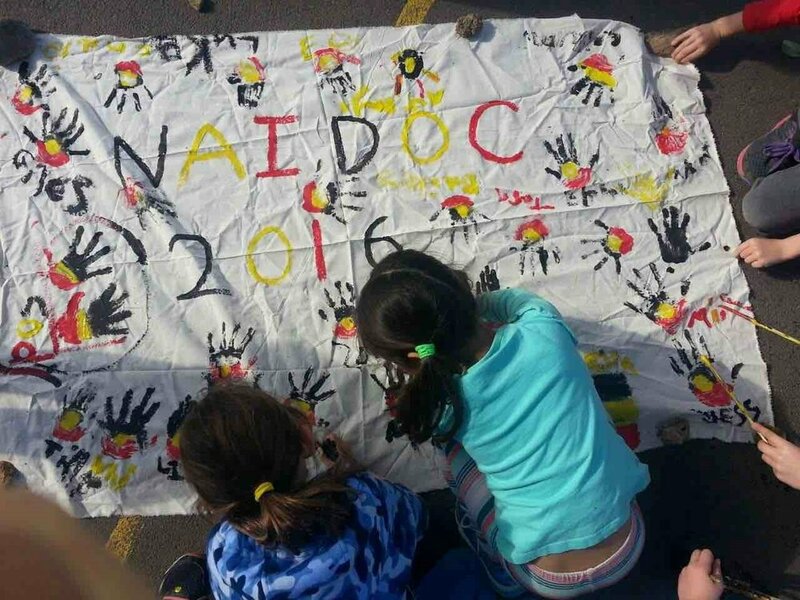 This term children will have the opportunity to partake in another hands-on experience as we make a NAIDOC week banner ready for the school holidays. Our Term 2 incursion will take place on Thursday 5th July from 3:45pm and is open to any child who would like to participate.